Outdoor adult karting is as real as it gets! Adjust your driving skills to suit the weather, our 350m long MSA approved track has fast challenging corners, and with 200cc karts averaging speeds of up to 30mph this is a serious step up from indoor karting. Runs scheduled Saturdays all year round – see Fixture List for dates. Vouchers make great gifts at any time of the year they are open dated and valid for 18 months but if you wish to purchase a voucher for a specific Grand Prix date we advise you call the office 01249 783010 to check if that date is running prior to purchase as refunds are not given. Vouchers will be sent out 1st class post on date of purchase (if before 2pm) in a presentation brochure. Please see the Voucher Delivery Information tab (above) for more information regarding delivery options. For a list of public grand prix dates see our fixture list. Arrive & Drive Series have clearly seen a leap in numbers and ours is no exception! The overall winner will win free entry into the 2016 British Rental Kart Championship (BRKC). 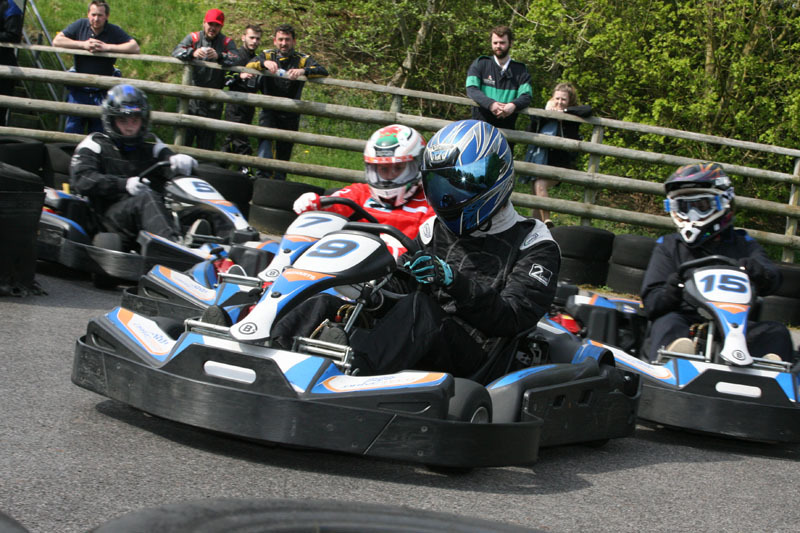 The BRKC is the premier rental kart championship in the UK and the Castle Combe Karting Championship is a great stepping stone and not to mention cheap! Click here for more details. Castle Combe Circuit, Wiltshire. Approx 7 miles form both J17 (Chippenham) & J18 (Bath) of the M4. 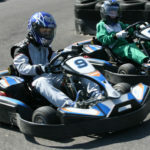 Exclusive use, private groups, see Group Karting. For more information and a quote for a Stag/Hen party please click here. It was a great event, your track team were great and the guys really enjoyed it. No problems with traffic either so win-win. We had a great time – thanks for your help to organise the day! 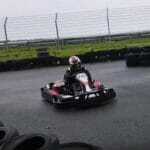 Just to say everyone enjoyed the karting experience on Saturday. I would definitely consider bringing another party for future experiences. Just to let you know that the team had a great time on Tuesday and thoroughly enjoyed the karting. Many thanks to you and all your staff for all your help. I’m pleased to say we had a great morning at the karting track on Saturday and were looked after very well. Everyone had an excellent evening, weather was great and karting fun. Many thanks for your help in making the Dyson event last week a great event, they all had a great time even if it was a little wet on the ground! We all enjoyed ourselves and the food was lovely. it was a great day. Every1 enjoyed it. The young lads were all gd. Thanks. Your staff were brilliant and helped make our day. We had a great time, the team really looked after us and the circuit was great fun and suitably challenging. Thank you very much for arranging for us. Everybody enjoyed it and your whole team made it run really smoothly. We had a fabulous time – some more than others with their competitive spirit !!! It was great fun and everyone had a good time. It was really good as it was so close, so it went down to the last second, so spirits were high. Thank you so much for a great event, thoroughly enjoyed by all. Thanks for arranging it all for us. It was a brilliant day, everybody really enjoyed themselves and I’m sure that we will be back in the near future to do the same event again.